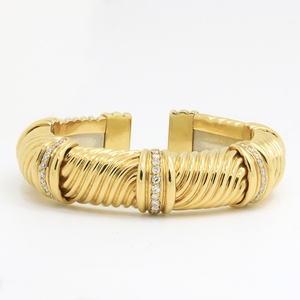 Italian Gold Cuff Bracelet With Diamonds at Reliable Gold in Providence, RI Reliable Gold Ltd. 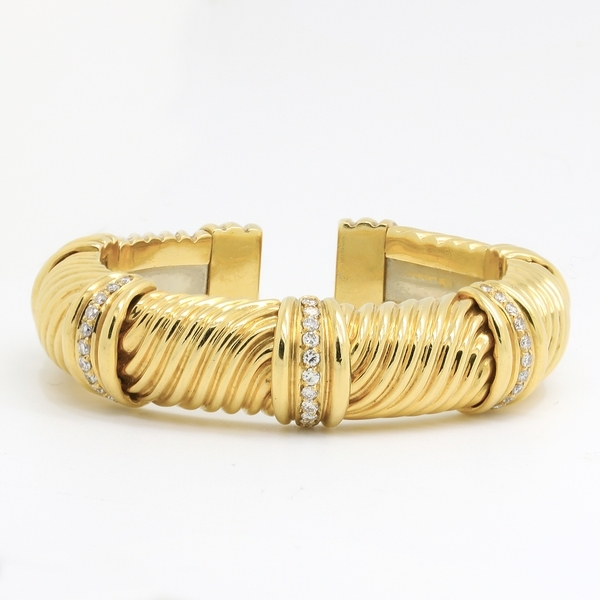 Substantial 18K yellow gold cuff of Italian design has a waved texture and approximately 1.0 carat of diamonds total weight understatedly complementing its beauty. 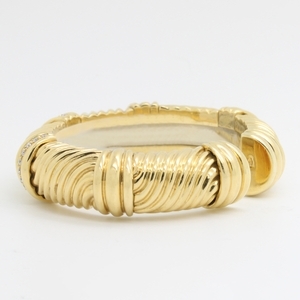 A simply beautiful piece!